NAAN BREAD RECIPE & HISTORY - all you need to know! 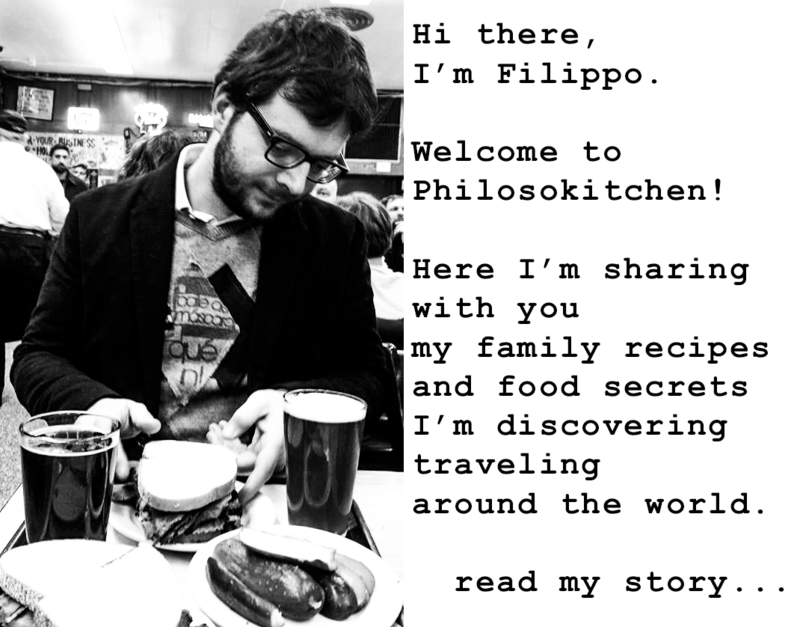 You are here: Home / Food Story / NAAN BREAD RECIPE & HISTORY – all you need to know! 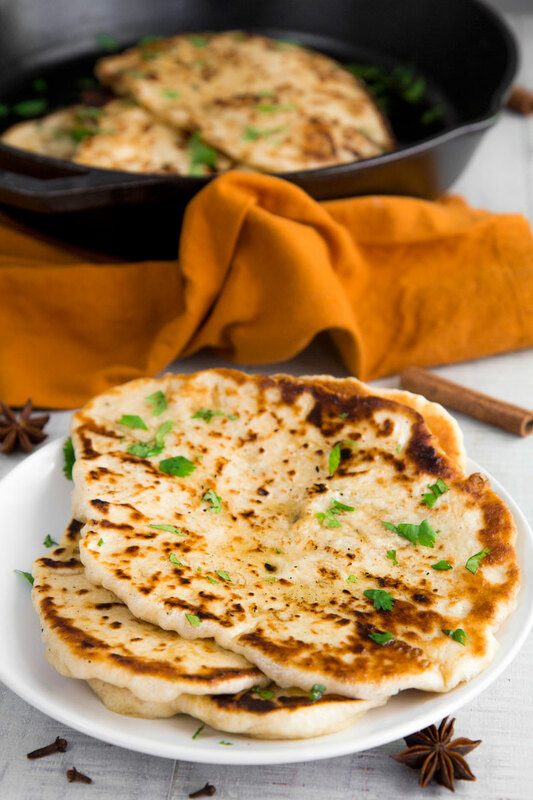 The Naan bread is a recipe you can’t miss If you plan to prepare an Indian dinner! 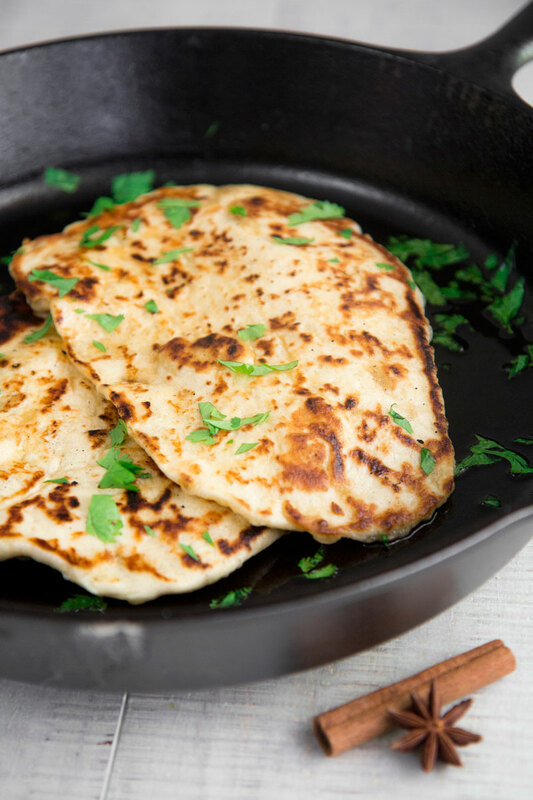 This simple flatbread is rich in history and taste, and even if the traditional method requires a Tandoor oven, Naan will be delicious also cooked in a cast iron skillet! All the time we talk about bread, the origin of the recipe roots into the oldest history of the cuisine. The Naan bread recipe is not an exception. This Asian bread is mentioned the first time on 1300 AC by the Indian poet and musician Amir Khusrow, but its origin is almost certainly older: probably since the arrive of yeast in India from Egypt. During the Moghul era, Naan was served as breakfast at noble families. Naan in old Persian means bread, and in Iran indicate any kind of bread. The Naan bread served in all the Indian restaurant from all over the world has been likely invented between India and Pakistan. Over the centuries, Naan spread into Myanmar, Afganistan, Uzbekistan, Tajikistan, Iran, and the Chinese region of Xingjian. As a result of the migration flows, Naan also reached the Persian Gulf. On 1799 the Western world knew the Naan, thanks to William Tooke, an English historian, and clergyman who mentioned this bread on his logs and after into his etymological Encyclopedia of Russia. Thanks the popularity of Naan, this flatbread has become quickly a must-to-serve in the Indian restaurant in Europe, and the USA, and Canada. Currently, Naan bread is easy to find in almost all the groceries, but honestly, there is no comparison between homemade and industrial Naan! Paratha: is a Traditional Thai bread popular in many regions of South-East Asia. The dough is made with flour, water, and vegetable oil, then cooked in a Tawa, the Indian cast iron skillet. Melopan: is a Japanese sweet bread, popular in Korea and China as well, flavored with melon and filled with chocolate, or pastry cream, or caramel. Baozi: also called just Bao, is a Chinese white bun filled with meat or vegetables. 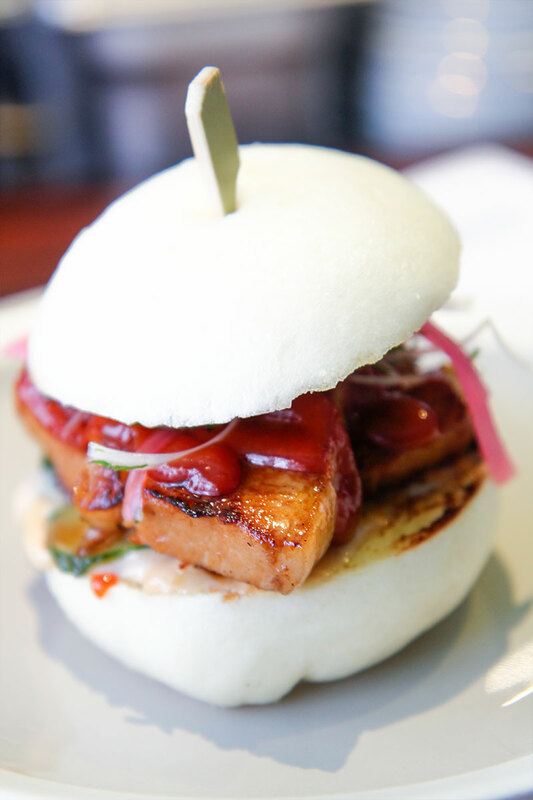 The contemporary version of Bao is served as a Western burger, either sweet or salty. Keema Naan: with ground Mutton, Goat, or Lamb meat. Peshawar Naan: with a mixture of nuts and raisins. Kulcha Naan: with onions and potatoes. Paneer Naan: with Indian cheese. Besides these traditional variations, the Western cuisines have elaborated some tasty variations like the Pizza Naan, and Burger Naan. The traditional Naan bread recipe requires a Tandoor oven. The origin of this particular oven is very ancient, and probably descents from the Egyptian ovens. The Punjabi Tandoor is the most popular oven in India and Pakistan, and can reach temperatures of about 900° F (480° C): basically it is a clay jar dig into the soil, and fuelled with firewood. The Naan is cooked stuck against the inside wall of the oven. Unless you have a Tandoor oven in your garden, the best way to cook Naan in your kitchen is on a cast iron skillet. Most people prefer bake Naan into the standard oven, but after some tests, I still prefer the skillet! Pour the warm water into a bowl, then add the yeast, and the sugar, then stir. Let the yeast activate a few minutes, then add the room temperature yogurt and stir. Now, add 4 cups of flour a little at a time, stirring and eventually the table salt and 1 tbsp of softened ghee. 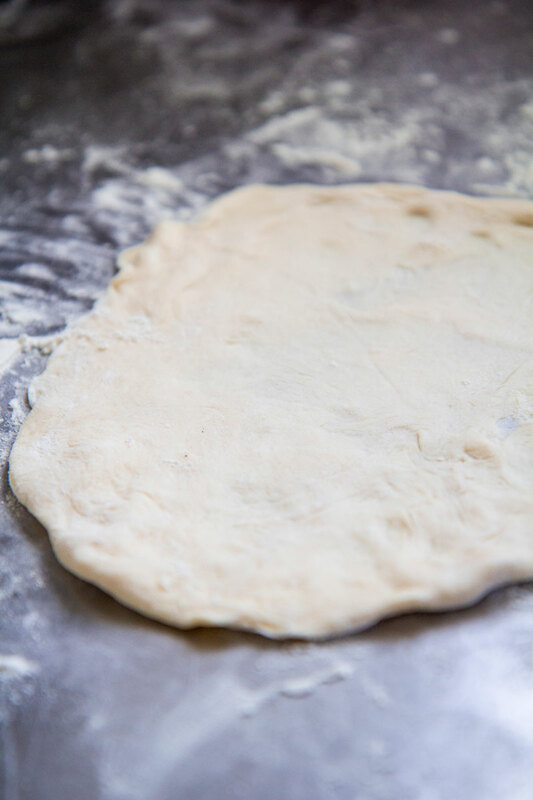 Now, transfer the Naan dough on a cutting board and knead at least 10 minutes adding enough flour until obtaining a shiny and consistent ball. 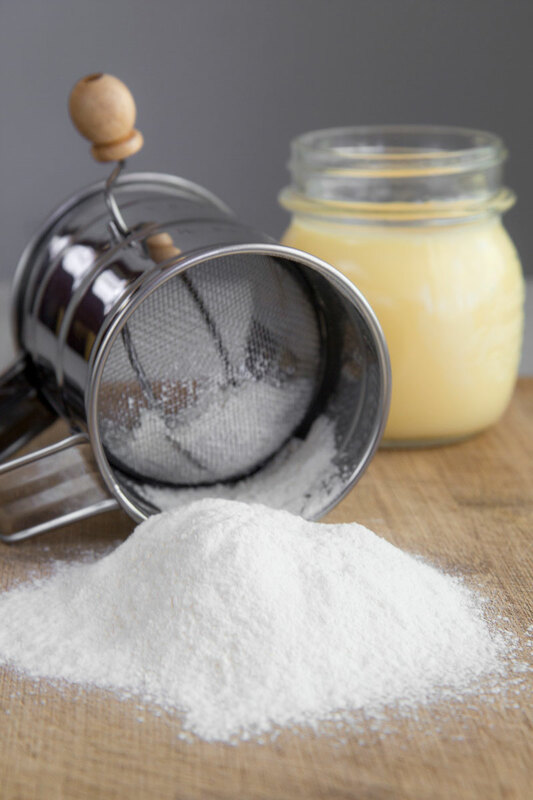 The total amount of flour depends on the humidity in the air; just add flour until the dough is still smooth, but does not stick against the cutter anymore. Finally, transfer the dough again into the bowl, wrap, and let it raise until the mixture double its size (about 1 hour). Divide the dough into 12 balls and let them rest 15 minutes over the cutting board, covered with a cloth. After that, melt the ghee in a little pot and place the cast iron skillet over medium/high heat. If it is the first time, probably you need a few tests to set the heat correctly and calculate the cooking time. 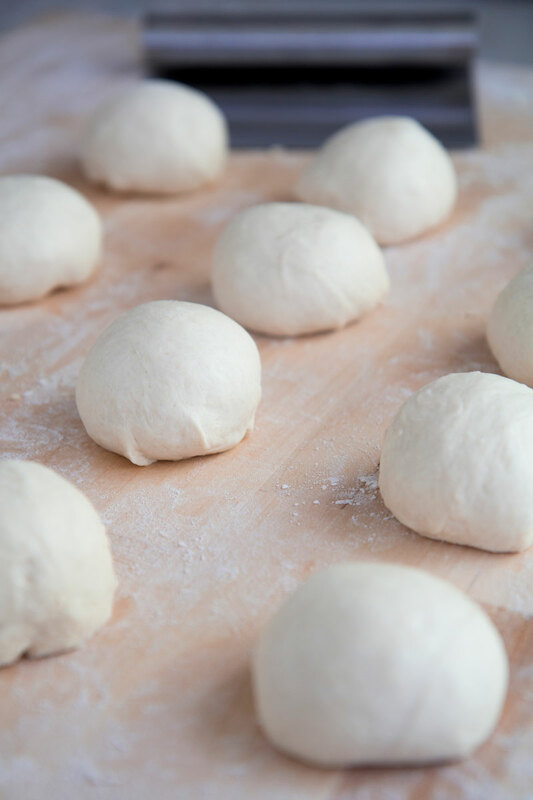 Take the first ball of dough and roll until ⅛ inch thick. Once the skillet is scorching, brush it with a little quantity of ghee and cook the first Naan. When the dough is starting to lift off, brush the upside with a little bit of ghee, then flip it and cook until done but still moist with some black bubbles and a grilled taste. Transfer the flatbread eventually on a plate, and brush with another little amount of melted ghee. Repeat the process with the rest of the balls, stacking of the already cooked Naan. 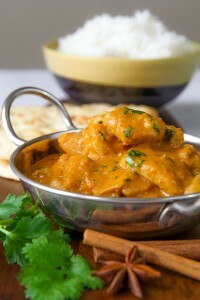 Serve the Naan immediately, or store in the fridge and re-heat in the oven just before eating. I was looking for an easy recipe to do this kind of bread. It works !!!! Cool, I’m glad you liked it! I have a tandoor here in India and use it almost daily when im here from Australia. I married a beautiful Punjabi lady therefore we share our time between the two. Ive tried a few times to perfect nann but have failed dismally everytime. I will try your recipe to the letter and give a proper feedback. Cheers P@. Thanks for commenting! I agree with you: cooking with a Tandoor oven is challenging, a kind of art! Honestly, this recipe has been tested in a cast iron pan over the heat to help the majority of people who want to try to make Naan at home, respecting the tradition as much as possible. So, I can’t tell if the result will be the same into the Tandoor. hi if i want to do grilling method for the naan , can u state the methods for me since i need it badly and the preheating of oven , the temp and the time taken to finish grilling thank you!!! Cooking Naan into a standard oven it is not easy, because it’s not possible to reach the high temperatures as into the Tandoori oven. So, I suggest you to use a cast iron skillet as described in the recipe. Thanx very much for this recipe and the history. Thank you for a simple recipe, it was illustrated perfectly! We absolutely love Naan bread, but it isn’t the same when you buy it verses getting it fresh! Thank you for the history lesson. Much appreciated. Thanks for your words Miles!